There’s no doubt about it— working in the agricultural industry can be one of the hardest (albeit one of the most rewarding) jobs on the planet. Members of the farming community are the first to point this out, but with that truth, there are also plenty of hazards associated with working in agriculture. Proper clothing is the first line of defense while working outdoors. Many farm machines have gears, pulleys, and sharp edges that can catch on loose clothing. Always wear clothes that fit properly, with cuffs buttoned and shirt tucked in. If you work in the sun, a wide-brimmed hat is also in order. Exposure to pesticides and chemicals can result in injuries. Remember that when applying pesticides, you always use personal protective equipment especially goggles and mask. Always be familiar with the manufacturer’s recommendations for preventing exposures. Tractors are commonplace in agricultural settings. The biggest danger a tractor poses is that of a rollover, which can crush the driver. If your tractor is protected by a rollover protective structure (ROPS), you need to wear your seatbelt to avoid being ejected and possibly injured. Do not allow extra riders, and make sure that anyone who operates the tractor has the proper training. Field operations may not seem inherently risky, but an injury while you’re alone in the field can quickly turn serious. While you’re out in the field, make sure you have a means of communicating with others on the farm, and have an established check-in schedule. Also, be smart with the machinery. Don’t try to clear jammed equipment while it’s running. Too many injuries and fatalities occur because the equipment is not shut off before beginning the repair. Herding livestock can be dangerous, too. Besides staying out of the animal’s blind spot and using specific positions relative to the cattle’s balance point to guide the herd, what can pose a real danger is dropping your guard or getting too comfortable. Don’t forget to keep the chutes and corrals clean and well-lit to help reduce anxiety. We value the health and safety of our friends in the local agricultural industries. For over 46 years, Central Florida Health Care has provided high quality, compassionate care to the Polk, Highlands and Hardee communities. If you or your family have any health concerns, we have 14 locations offering primary care, pediatrics, women’s health, adult and pediatric dental and much more. We welcome the opportunity to care for you and your family. 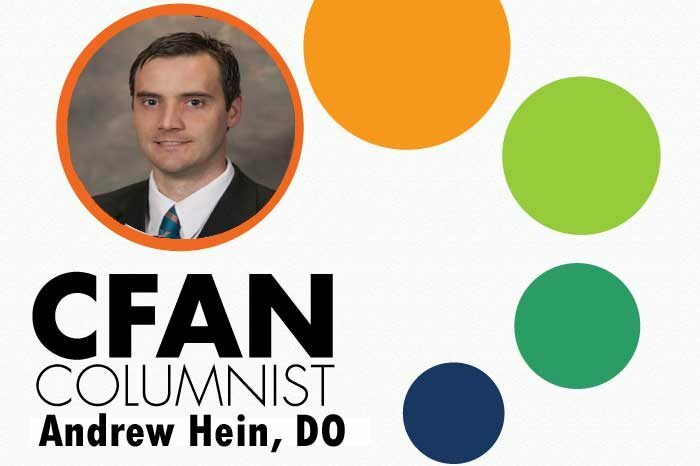 BIO: Dr. Andrew Hein is a family practice physician with Central Florida Health Care. He received his education at the Nova Southeastern University College of Osteopathic Medicine, and currently treats patients at the Wauchula location. To make an appointment with Dr. Hein or with any of our providers, please call (866) 234-8534 or visit chfconline.org.